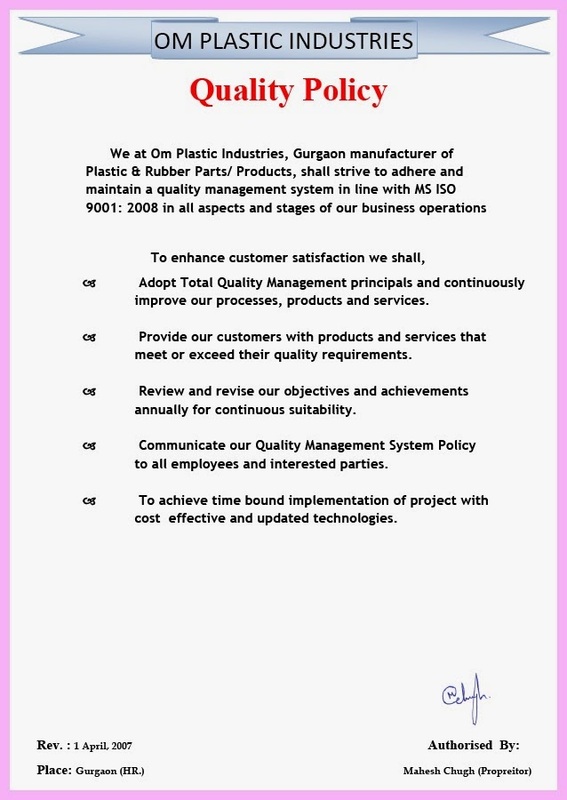 Quality ~ OM PLASTIC INDUSTRIES PVT. 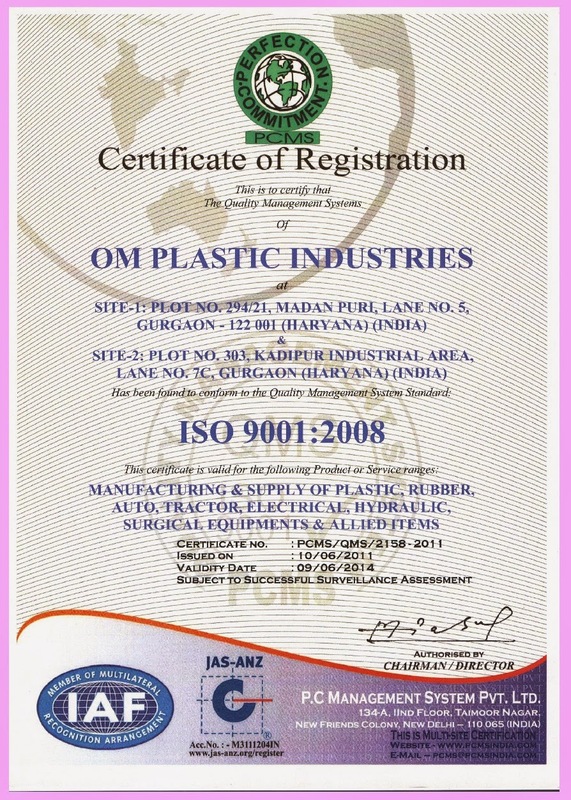 LTD.
Company is ISO 9001: 2008 certified. 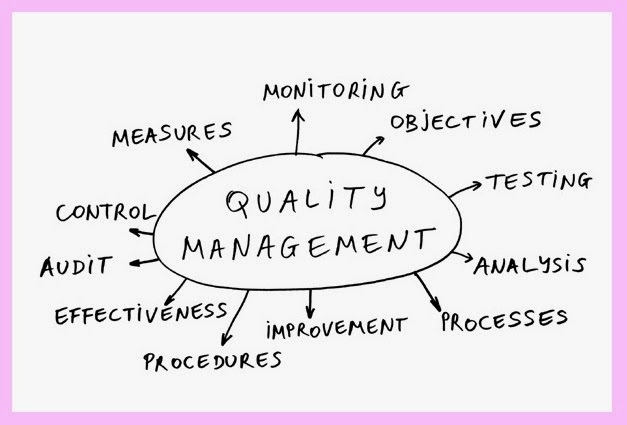 Higher management is focused on training and human resources development. 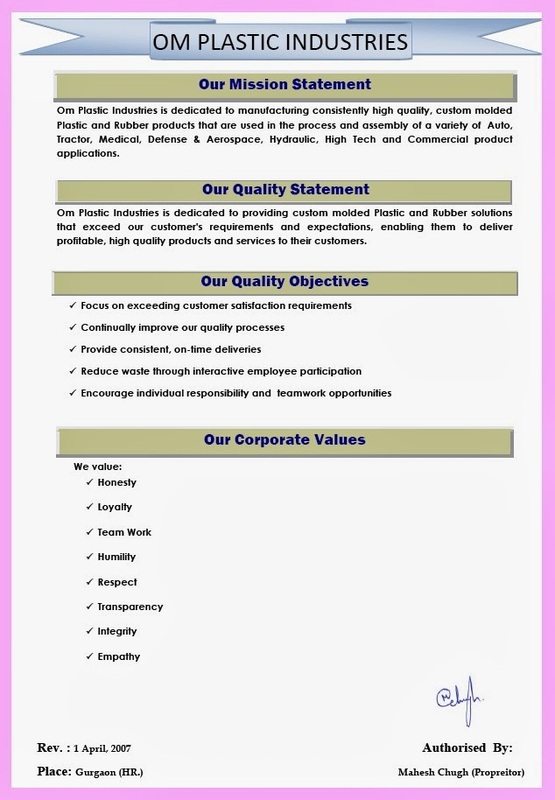 Sophisticated quality control equipment, facilities and trained manpower. 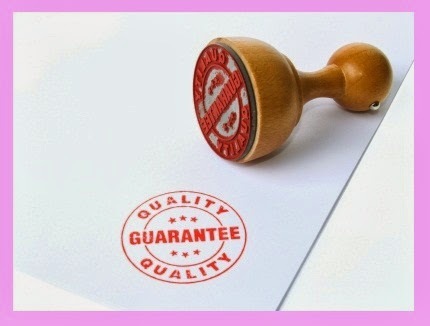 High supplier rating from all customers.